ADD YOUR EMAIL to our mailing list to be the first to hear about new music, giveaways, and more! The Walkaways are a metropolitan DC-based band, making original music since 2006. The band released its third full-length album entitled "After the Fall" in 2017. 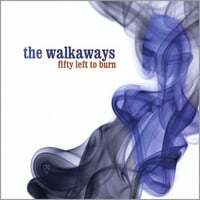 This follows Fifty Left to Burn (2008) and Romance and Medicine (2012), the latter recorded and co-produced with Grammy-nominated producer John Jennings (Mary Chapin Carpenter, Indigo Girls, The Rankin Family, Iris Dement). From the beginning The Walkaways' sound has been called "alt-country" (Washington Post, Washington City Paper, Washingtonian Magazine), and that description still fits pretty well. Their songs draw even more broadly, however, from Americana, folk, roots, country, indie, and classic rock. Key influences include Ryan Adams, Son Volt, Wilco, Springsteen, Uncle Tupelo, Josh Ritter, The Band, and Old 97s. 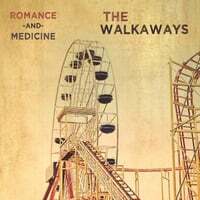 You can hear The Walkaways play live at popular DC-area venues that support original music, including Pearl Street Warehouse, Gypsy Sallys, Evening Star Cafe, and Port City Brewery, along with local festivals, charity events, and every now and then at venues in NYC like Arlene's Grocery and Rockwood Music Hall. Happy to release our third record After the Fall at IOTA Club and Cafe. Many thanks to Mark Williams of Sucker Punch and Mike Reina at The Brink for making it all possible.